The iPhone Home Screen has room for 20 app icons on the front page and four Dock icons across the bottom, with even more app spots available for the iPad. If that seems like 20 icons too many for you, using a little trick lets users create a completely blank home screen page in iOS, reducing the primary page to an empty screen that only shows the icons contained in the Dock. The result is a very minimalist home screen appearance for the first page which emphasizes the wallpaper, while no other apps will be visible until you swipe over to the other screen pages. This will have no impact on the home screen icon arrangements, it simply moves the initial page aside. All you are doing is creating a new blank page and placing that as the first screen you see when you unlock the device. So, want your home screen to be void of icons? Follow along. You’ll need iTunes on a computer to complete this process. The walkthrough was done on a Mac but it should function the same with Windows versions of iTunes as well. 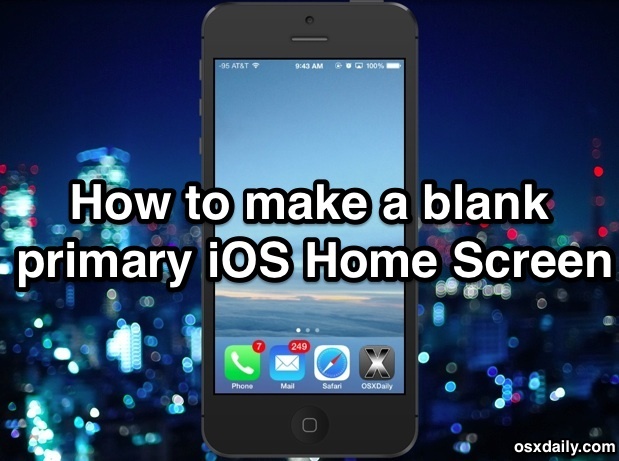 Now go to the iOS device and unlock it as usual, swiping or tapping your way over to the first page of the home screen and you’ll find a completely blank page of emptiness. Minimalism at its finest! Aside from appreciating the scarcity, it’s also a great way to emphasize a wallpaper if you’re using one you’re particularly fond of, even if it doesn’t otherwise play well with the iOS 7 interface. The empty screen will stay in place until you either move an app on and off of the blank page manually, or by installing something new from the App Store. You can also ditch the blank page by re-syncing to iTunes and removing it manually, or by dragging the blank page to the end of the screen section again. This has been confirmed to work with the latest versions of iTunes 11 and iOS 7, iOS 8 and iTunes 12, and all other modern versions of software, and it doesn’t require any funky tweaks, empty icons, fake apps, jailbreaks, or other modifications to iOS. That’s not necessarily the case with earlier versions of iOS though, which required third party adjustments to achieve the same effect. Enjoy your empty home screen! Have you counted the number of apps on an iPad’s home screen? My iPad and iPhone both allow 20, plus four in the dock. How can I get more in the iPad’s home screen? The iPad allows up to 6 apps in the Dock, whereas the iPhone and iPod touch only allows 4 apps in the Dock. These are both the maximum icon count, you can have less of course. To add another app into the iPad dock, just drag and drop it there. Nice. This is one of those simple tricks that make you say to yourself “Now why didn’t I think of that?”. I was going to post exactly that comment. Why don’t u just hide all your apps. 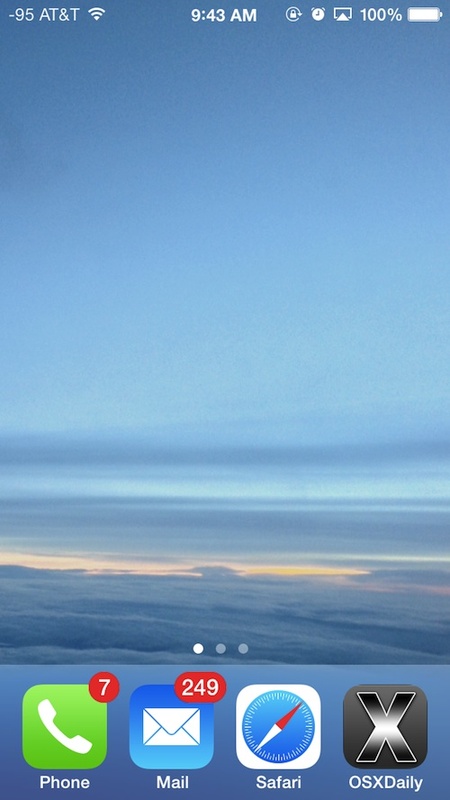 You don’t need iTunes to make a blank home screen. Just make a folder with the apps from your home screen, and have some other apps on page 2. Hit the home button. Now move the folder to page 2 and hit the home button again. That’s it. 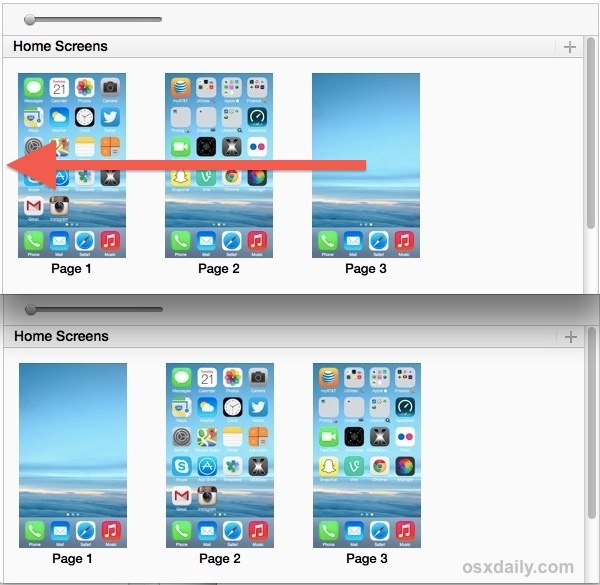 The initial Home Screen is the left most panel, swipe right to go left in iOS… LOL. 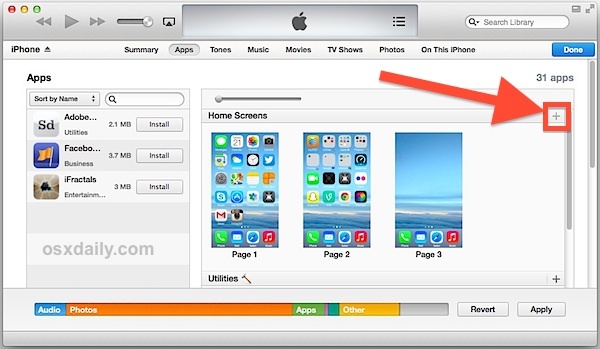 You need iTunes to customize your iPhone home screen? whats that wallpaper? could i have a link? thanks! 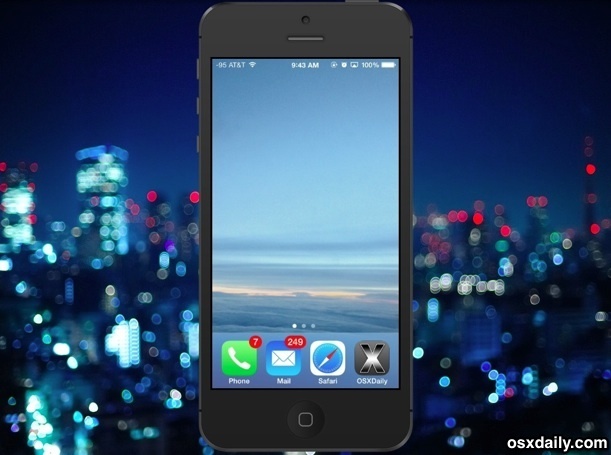 Now in iOS 8, it’s easy to customize homescreen. Press icon then shift all, one by one to next page so first page would remain blank as clean beutiful wallpaper. Its so simple….just drag the icons one by one to a new folder…thats all! I’m glad that this is a thing. I never would’ve thought that this was possible. Thanks, now I can goggle at the character on my screen, and think happy thoughts…about missiles, etc. !